Omelettes are the right choice of food at any hour of the day. Be it breakfast, lunch, evening snacks or early dinner. Omelette is a delicious breakfast delicacy prepared by shallow-frying beaten eggs added with grated cheese, diced onions, green chilies, coriander leaves etc. seasoned with salt, ground black pepper and served hot with brown bread. A heaven like place for eggetarians and foodies, is Khan Omelette Corner- a small roadside shop standing between the busy market of Lal kuan and Fatehpuri, Delhi. Khan Omelette Corner is known for its superbly flavorful Cheese Omelette. This place will change your perception of a variety of dishes that you can whip out off a humble egg. This food joint offers its visitors a lot of variety to choose from. Moreover menu is designed for all type of food lovers and the best example is diet omelette for the ones who don’t want add more fat in their healthy preparation. Their light and fluffy omelette is made with egg white of 3 farm/desi eggs prepared in olive oil and served with brown bread. Best part of Khan Omelette corner is the use of raw spices. Another unique preparation as the desi omelette loaded with cheese slice, in-between and above. Don’t miss their lip smacking desi Egg Omelette. 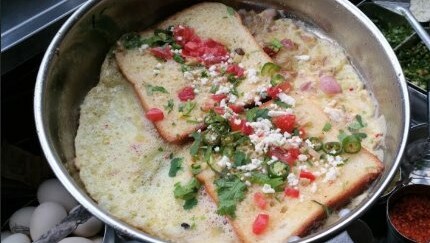 We bet that one visit to this flavorsome place will make you fall in love with khan’s omelette. 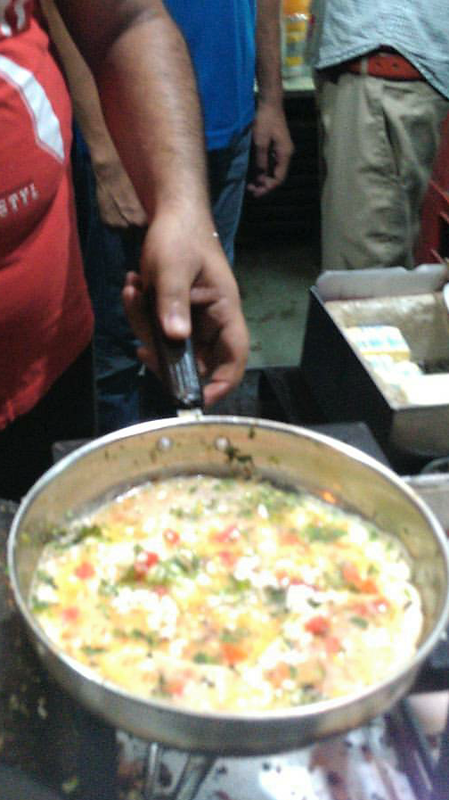 A combination of excellence and experience of making egg dishes is the reason which makes “Khan Omelette Corner” a popular stop for all the egg lovers.